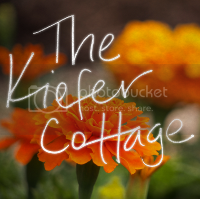 The Kiefer Cottage: We'll Take Manhattan, and Brooklyn, too. The past week has been a whirlwind of activity. Thanksgiving was a blazing success. And we've all recovered nicely without excessive bloat (note that I said *excessive*). You'll notice a little button over on the right --------->. Tammy over at Type A Decorating is having twenty-five guest bloggers for Christmas, and The Kiefer Cottage will be participating on December 3rd. I'll remind you, so don't worry about missing it (yes, you're worried. Don't try to tell me otherwise). You'll finally learn how to make those yummy cinnamon rolls. But my big news is that I am going to New York City next weekend! My friend Charlie is marrying his partner of many, many years, and he's doing it in Brooklyn. A gay wedding is just what I need. (When I think of the wedding, the Flintstones' "We'll have a gay old time" pops into my head, too. Wonder if the grooms will be sporting animal skin?) My mom is meeting me up there, and we plan on eating our way through town. It'll be a very quick trip, but I know that for Ryan, it will seem like an eternity, so send him your patient vibes. He'll need them. What does that mean for you? Well, you'll get to see pictures of our trip...and not much else this December--we might be doing a lot of cooking, but no new drywall, flooring, or crystal chandeliers. NYC is so expensive to visit. I had to sell one of my organs on the black market. Ryan peddled handmade home insulation on the street corner. The kids pitched in by offering to eat only three tons of goldfish this month rather than their typical four. My lovely gal pals did actually throw together some dough as a complete surprise for me, and no, it wasn't bread dough. It was real moolah, and I'm so grateful to them for the treat (love you MMs!!). Reservations are made, outfits have been chosen (I'm thinking burlap sacks, Mom), Valium has been procured (poor Ryan), stomach has been sufficiently stretched (thank you, Thanksgiving), and I've been breaking in my shoes for all the walking. 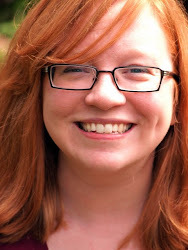 I even got my hair highlighted so I could be a New York City blonde (yes, that article is five years old, but I still remember reading it when it was first published). And in honor of the trip, Katie dressed up as the Statue of Liberty. Perhaps she can come next time. I think the dinosaur as torch is brilliant, child. Edited to Add: Chef Tio at Julian not only retweeted my post last weekend, but she also said to definitely get a picture when we come in next time. See? I'm mere moments from my 15 minutes of fame!! Enjoy! And I look forward to reading your post on Type A. What a treat! I love gay weddings and I always cry at them. Enjoy your time away and how you feel when you get home again also.